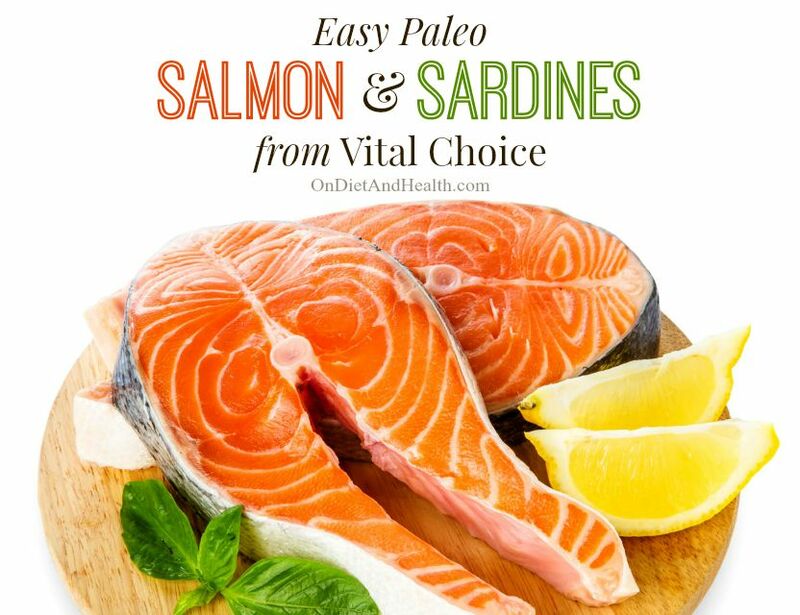 Salmon and sardines from wild caught and sustainable sources are a good choice for Omega 3 fats. Fresh seafood is best but sometimes canned is just right! 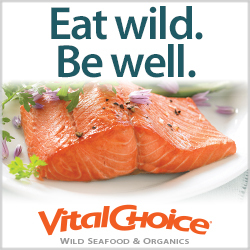 Either way, wild seafood provides Omega-3’s, selenium, calcium, and other micro nutrients. Why take Fish Oil when you can eat this yummy fish? I’ve been buying Vital Choice products for years. They offer canned seafood in a variety of forms and my favorite oil – Macadamia Nut Oil (see more on that below). The seafood is wild caught and sustainably harvested, making a big difference in the taste and nutrient content. Farmed fish cannot compare to the nutrition in wild caught fish. Here’s why I’m both an affiliate and a customer of Vital Choice, and if you want to order some, there’s a 10% coupon below for new customers. My personal favorite is Wild Red Alaskan Sockeye Salmon. 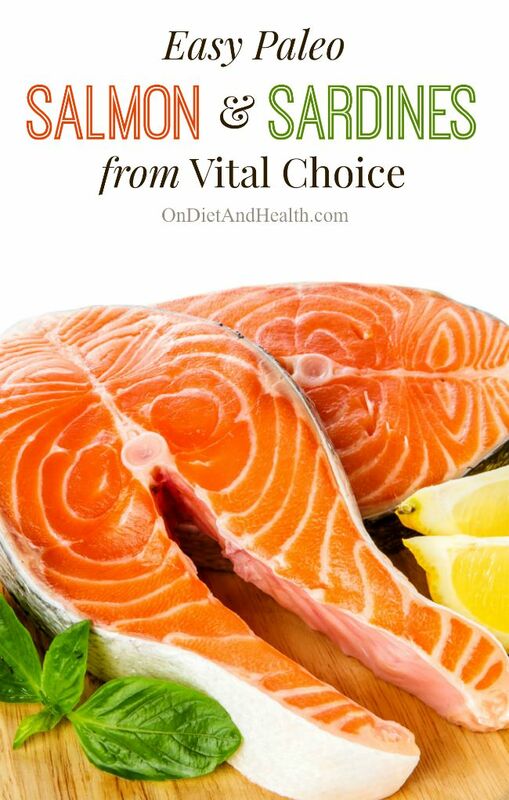 This salmon comes with the bones and skin, providing an excellent source of calcium, vitamin D3, selenium, and Omega-3’s. You can get it without the skin and bones if you prefer. Check out the salmon options and read the company’s story by clicking here. You can get large or small cans with easy pull-tops, and some with spices and/or salt. 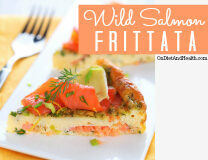 Here’s a recipe for canned sockeye in an easy paleo salmon frittata that works fine any time of day. Vital Choice carries a canned sardine (bones and skin here as well!) which is absolutely delicious. 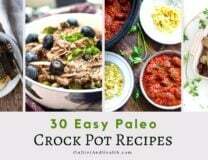 I prefer the one canned in olive oil for a great dose of healthy fats. You can find them here. They also carry a yummy sardine in organic tomato sauce here. Or get the sardines water-packed. If you aren’t familiar with sardines, they taste a little like tuna. 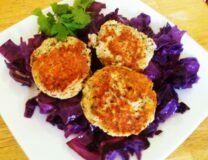 They are one of the quickest and easiest ways to get protein on a paleo diet. My Dad used to eat cheap canned sardines and I had no idea how good they were until I tried these. (Cheap sardines aren’t really sardines at all!) If you’re squeamish at first, try the ones in olive oil or tomato sauce or get a Sampler Pack. I eat salmon or sardines straight from the can on a salad or I heat it up with some cooked zucchini or other leftover veggies. I keep cans of salmon and Artichoke Hearts in my car (with a baggie for the empty cans) and a fork. This is a gourmet emergency meal! If I’m stuck somewhere, I can eat well with no compromise. It’s my Car Picnic deluxe! This is one of my favorite foods as well as an amazing gift. If you’ve only eaten Macadamia Oil from the grocery store, you are totally missing out! This has an amazing flavor that I eat off the spoon as dessert if I didn’t get enough fats in my meal. It’s high in monounsaturated fats and low in Omega 6’s. You can use it with moderate heat, but it really excels as a dressing for veggies. This oil comes in a beautiful box, nice enough to give as is as a gift. I bought 15 of these one year and that was the easiest Christmas ever! You can see the oil for yourself here. 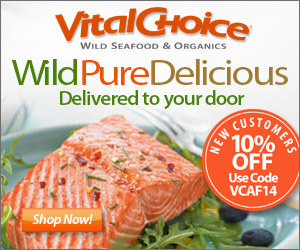 Vital Choice offers 10% off your first purchase. Just use code VCAFINT at checkout. Click here to be directed to their main storefront to check out all the delicious seafood they sell! Enjoy!